The recent decision by the Chinese to reject UK waste is a problem. In the UK, we produce 400 million tons of waste every year, and most of it comes from the quarrying, mining, demolition and construction industries respectively. Around 30 million tons is household waste, but for every ton of household rubbish, commercial, industrial and construction businesses produce a further six. The UK HVAC market is huge and has seen steady growth since 2013. Positive influences on the ventilation and air conditioning market include increasing awareness of health, safety and energy efficiency legislation. This has, in turn, has encouraged product innovation and development. Air handling units use many disposable filters depending upon the application and standards required for the final air supply. Proper disposal of the old filters is essential to prevent all the collected debris from becoming airborne once again. 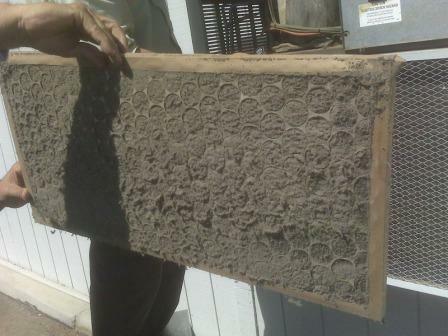 A well-used filter might have 30 to 90 days of trapped material in it. So many irritants, allergens and other particles have the potential to become airborne again. The demand for energy efficient and better performing air filtration technologies will increase the industrial air filtration market greatly over the next few years. This demand is driven by an increasing preference for eco-friendly air filters that minimise health hazards. Manufacturers are widely developing new ranges with enhanced efficiency and straightforward installation requirements. HEPA filters are anticipated to reach a revenue share of over 24% by 2022 which is attributed to the capability of HEPA filters to dispose of all toxins and other harmful substances from the environment. It can easily eliminate pet dander, pollens and dust particles from the air. One of the major factors responsible for a significant amount of greenhouse gas (GHG) emissions worldwide is the high percentage of electricity consumed by commercial buildings. For instance, in the US, residential and commercial buildings consume 70% of the electricity and generate 40% GHG emissions. 1/3 of the energy consumed by commercial buildings comes from either ventilation and space heating or cooling applications of HVAC systems. To reduce energy consumption, the fan motor in HVAC systems must overcome resistance to deliver the required air flow, compelling the manufacturers to focus on the development of air filters that offer lower resistance to air flow. Recycling, on the other hand, is a problem. The materials used in air filters make them inappropriate choices for the standard recycling and the majority will end up in the trade waste skip for landfill. 16,000 standard 24x24 air filters would fill seven commercial shipping containers weighing in at 11 tonnes with a volume equivalent to ½ million, one-pint plastic bottles. Is there a solution? One that not many people are aware of, but indeed should be. You can invest in reusable rather than disposable filters – a short-term investment for significant long-term financial and environmental gain. Protecting existing disposable filters with a reusable pre-filter will extend their life by up to 60%. Fewer filter changes, less money, less environmental impact. To learn more about our unique products take a look through the RABScreen website or call 01635 248633 for a sample and more information.